While the world went looking for Easter eggs and basketball games this weekend, the church of Jesus Christ remembered the resurrection of our Lord. More valuable than anything an egg can offer, and more reliable than any team we cheer, the resurrected Christ offers us forgiveness of sins and eternal life for all who turn from sin to trust him. This is what we celebrated on Sunday (and every Sunday). And at our church, the focus was on the sign of Jesus, as found in Jonah 1:17. 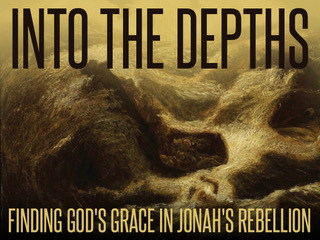 Amazingly, some eight centuries before Christ’s death and resurrection, we learn that the God of Israel took the rebellious actions of Jonah and turned them in a “sign” pointing forward to Jesus. As Jesus himself says in Matthew 12:38–41, Jonah’s three days and three nights in the belly of the fish foreshadowed his own death and resurrection.